Chatbots are a relatively recent feature in the web arena, but already their uptake has been high and they look set to be driven into the mainstream. Over 1.4 billion people interact with chatbots each year and this number increasing steadily. 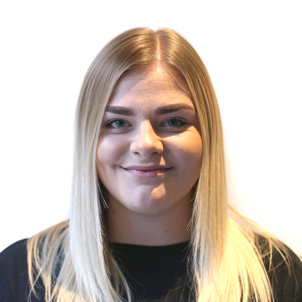 Their main task revolves around managing customer service enquiries. As the artificial intelligence (AI) which powers them has developed, the scope of their abilities has grown to encompass almost every aspect of this role, from answering questions to providing further information & guidance. Smarter Chatbot systems go a step further, using feedback and information gathered through correspondence to learn and improve its performance in future interactions with customers and offer a more personalised experience. For businesses, the value of Chatbots is their potential to enhance the customer experience by streamlining communication between the customer and the organisation. Chatbots provide businesses with the opportunity to offer users a 24-hour service, instant responses and their complaints answered quickly. Chatbots can help reduce business costs by improving operational efficiency. Juniper suggests that by 2022 chatbots are expected to reduce business costs by $8 Billion. Chatbots can feel very robotic and the rigidity of their responses can feel quite ‘unnatural’ to some users. Often they can lack emotion, or the depth of conversation people are used to in an interaction with another person. Because of this, the focus has been placed on improving their capabilities and becoming more ‘human’. Natural language processing in chatbots attempts to understand the intent of the input, rather than just the information about the intent itself. This means we can have a conversation with a chatbot as we would with a human without even realising. Smartphone uptake in the UK has now eclipsed laptop penetration, with 85% of citizens using smartphones. Moreover, people have now shifted towards using messaging apps more than they use social media. The familiarity of messaging and the growing tendency for users to choose this medium over a phone conversation is great news for chatbots. A great example of a more human-like chatbot is from Autodesk. Their virtual agent Ava can respond to emotional signals from users based on their facial expressions. 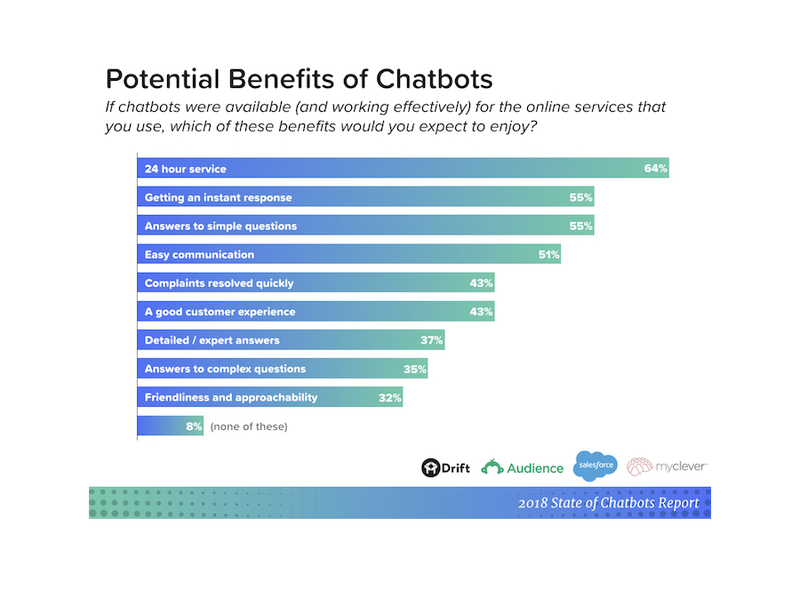 In 2019 we will see more businesses adopting conversational chatbots as well as virtual agents for their customer services and beyond. We have seen a huge increase in the use of ‘smart speakers’ from the likes of Google & Amazon. Amazon has sold an incredible 20 million Echo devices and it’s estimated that 74.2 million people will use a smart speaker in 2019. In 2019 you can expect to experience more voice-activated chatbots as their aim is to have these ‘smart speakers’ integrated with more devices such as wearable technology and smart TVs. We have seen chatbots being utilised in many ways for customer service. Chatbots can provide more information instantly on the services the company offers to customers. On Facebook, we can open up messenger and ask a business a simple question such as ‘what are your opening hours?’,‘what services do you offer?’ and even book at table at a restaurant. 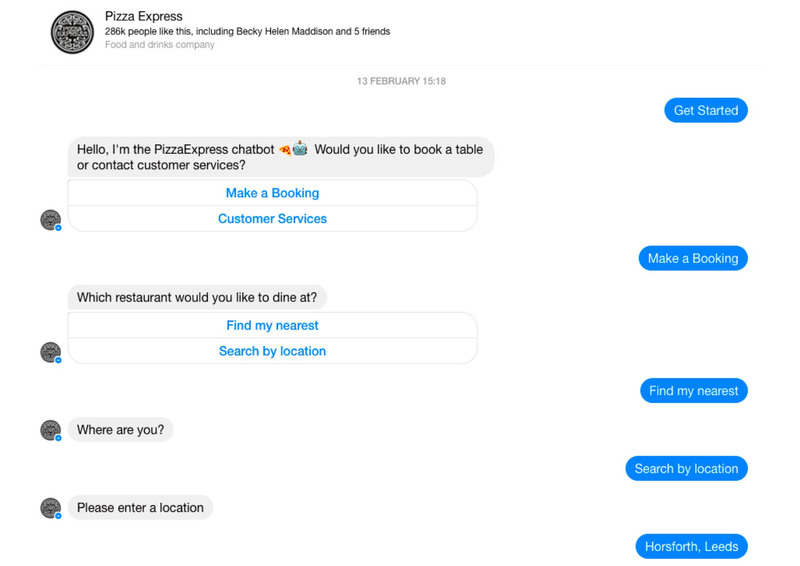 The Pizza Express chatbot allows customers to do just that in approximately 60 seconds. We have seen an increase in banks using chatbots, limiting the need for customers to visit a physical branch. For example Capital One’s chatbot, Eno, allows customers to manage their money via their smartphone by asking questions about their balance, recent transactions, and payment history. Eno can even pay off a credit-card bill. PWC suggested that banks can leverage facial recognition to enable zero-click transactions using chatbots which enhances security. We are seeing chatbots being used for more than just customer service. 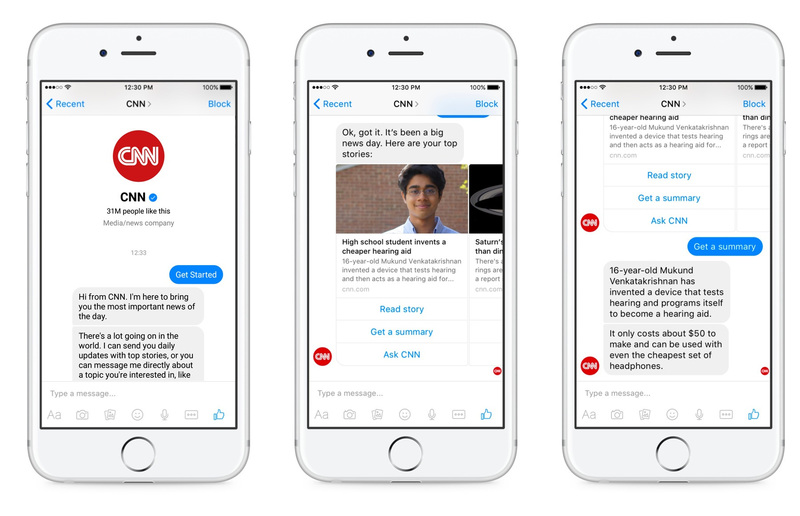 CNN has leveraged Facebook messenger to provide information on the latest news stories or stories of the user’s choice. It’s predicted that bots will begin to be used in more online spaces, such as CRMs, intranet, and IT help desks. By 2021 more than 50% of businesses will spend more per annum on chatbots than traditional mobile app development. One of the main reasons we can expect to see chatbots replace apps is because of their costs. 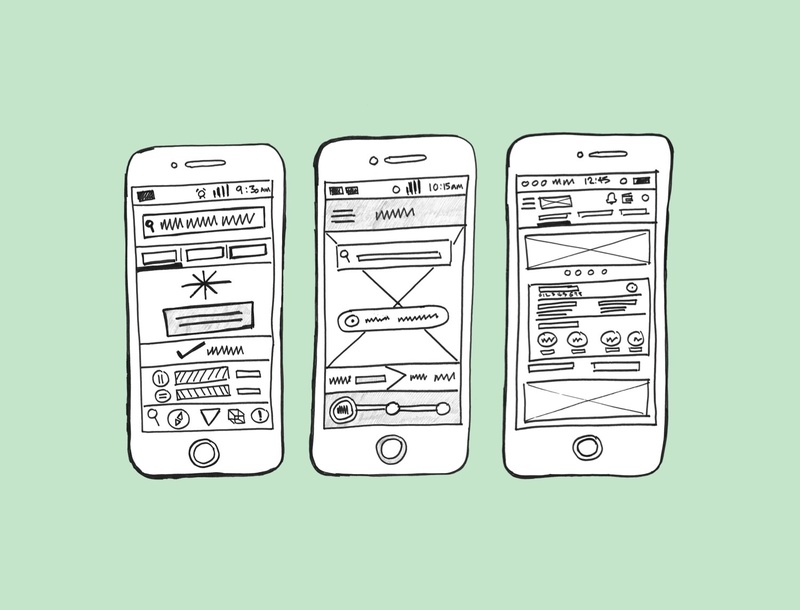 App development can be extremely expensive. The average cost to build a chatbot can range from $6000 to $12,240 whilst simple apps for one platform will start around $25,000 making chatbots the preferred choice. 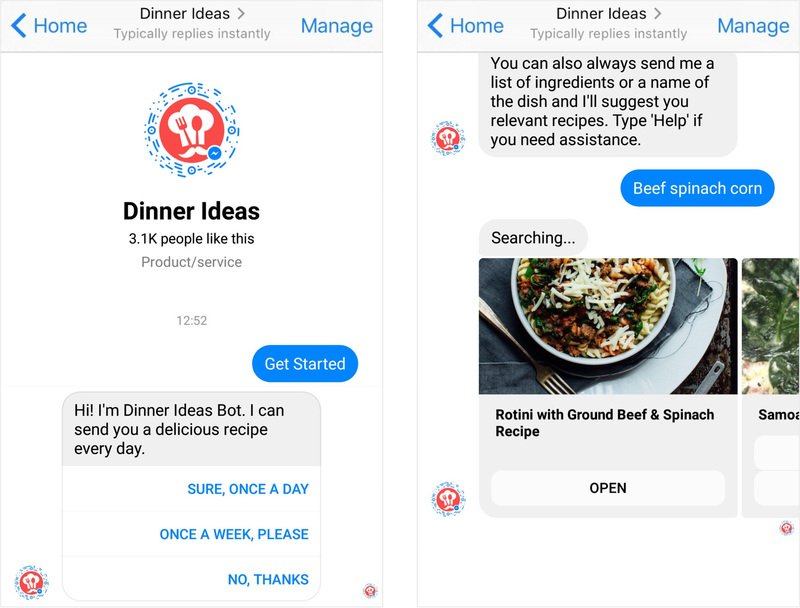 Chatbots also provide a unified interface over apps, all of the information offered on an app can be packed into a single messaging application like a chatbot. CNN have leveraged Facebook messenger to provide users with a platform that they access all information on the latest news stories or any news stories of their choice. Essentially it is all of the information that is available on the CNN app but in one simple convenient location for the user. Machine learning enables chatbots to become smarter after each conversation they have with a user. After each engagement, the chatbot builds upon the customer's profile allowing them to provide a more personalised experience each time which exceeds the ability of apps. With GDPR in full flow, we can expect to see stricter data regulations with chatbots as users want to know how their information is being used and stored. At the start of the conversation, your chatbot should provide a consent form for the user to complete quickly. Users must also have access to the information that you store and the means to delete certain information if they wish to do so. 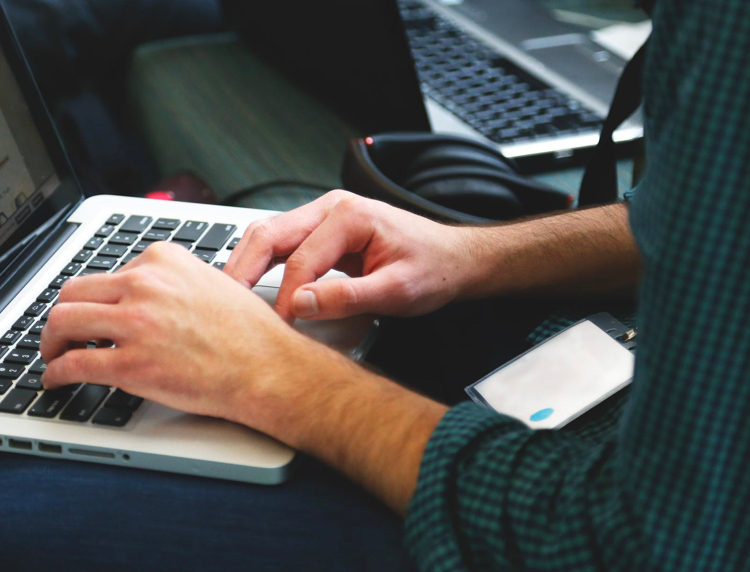 With more and more features being added to chatbots each year and with more customer information being stored we can expect to see some stricter regulations around the use of chatbots for companies. Chatbots are becoming increasingly popular as more companies and users realise their benefits. Chatbots are ever evolving and I am excited to see what new capabilities for businesses & users chatbots will bring in 2019. Check out a few of our favourite chatbot examples below! 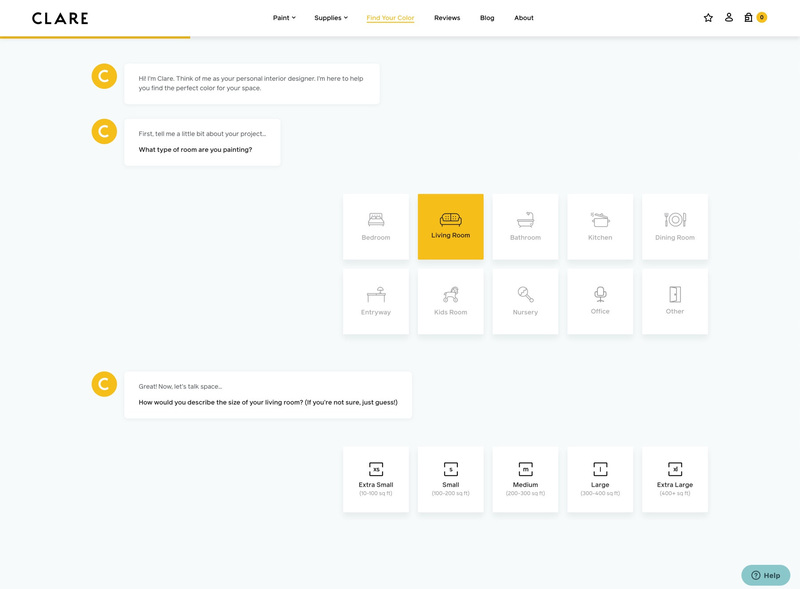 We promise we don’t just love this chatbot because we created it. Deep RiverRock’s ambition was to position themselves as the market leader in Ireland and Northern Ireland. 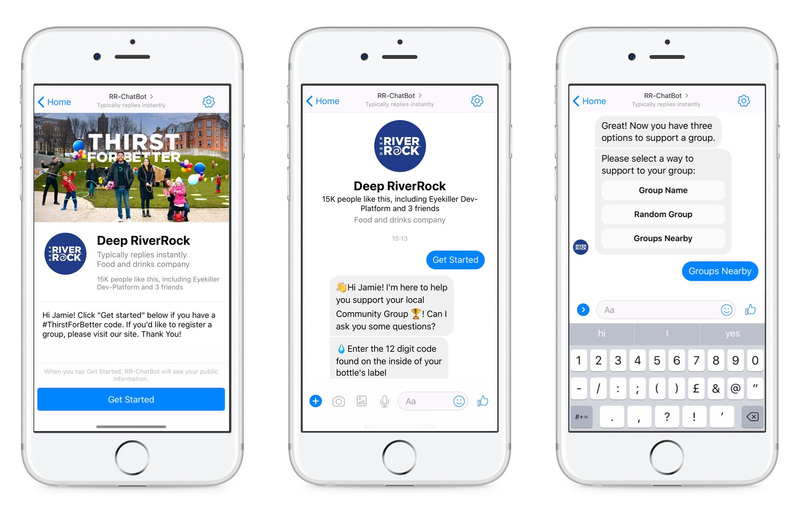 The interface made code redemption and donation a breeze, and participants are encouraged to share their Community Group support with their friends through social media, amplifying brand awareness of Deep RiverRock. The Facebook Chatbot has successfully attracted key demographics and so far, over 55,000 donations have been made! 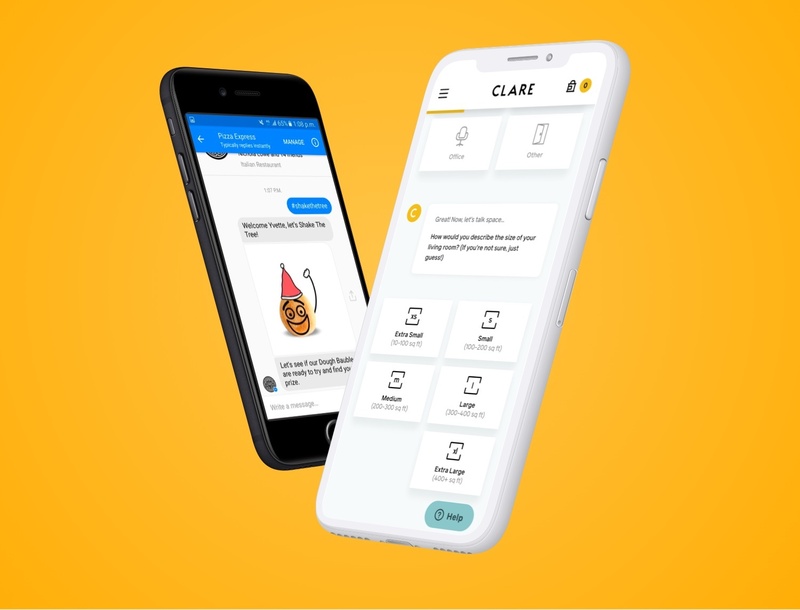 We just love the simplicity of this chatbot from Clare. The use of icons makes it easy to understand for all users and visually appealing which encouraging users to engage. Without having to visit a physical store the Sephora Virtual Artist can shade match your skin to a suitable foundation. 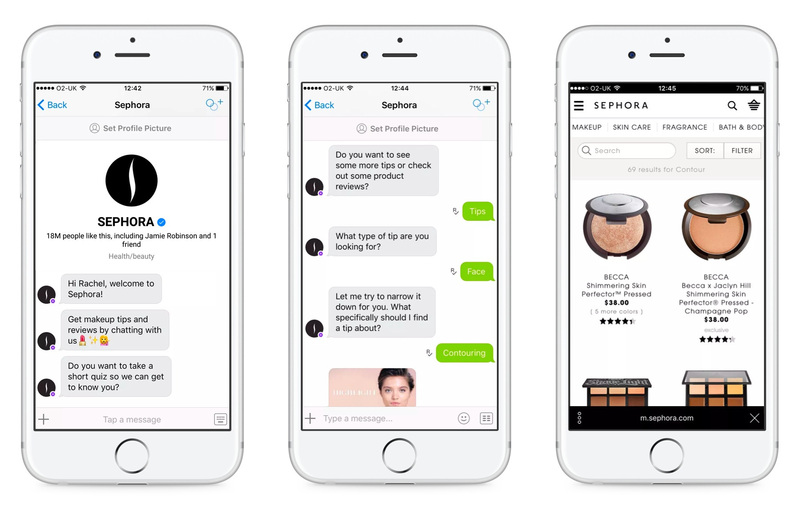 Sephoras chatbot allows you to browse their range of products most suitable to you without even visiting their website. Struggling to find that perfect recipe for dinner tonight? Simply give Dinner Ideas at least one ingredient or the name of a recipe and it will send you over some relevant recipes. It will even give you a shopping list of the required ingredients and measurements. 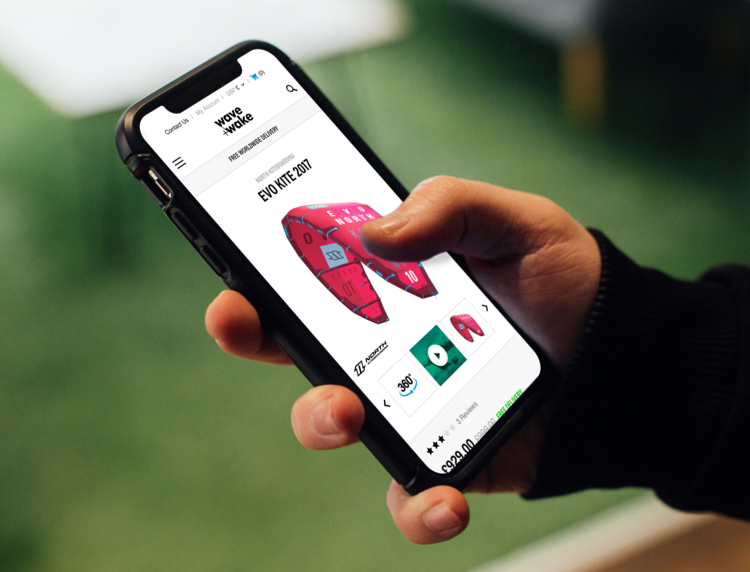 Are you thinking of introducing chatbots for customer service in 2019?